Regulators for milk coolers and refrigeration chambers and devices. 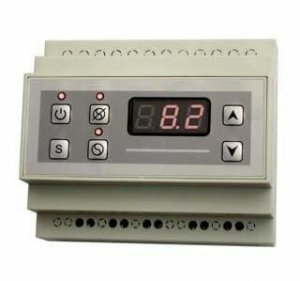 Regulators of SMT-01, SMT-02, SMT-02H and SMT-03 series are microprocessor-based, programmable controllers, intended to be used in milk coolers. 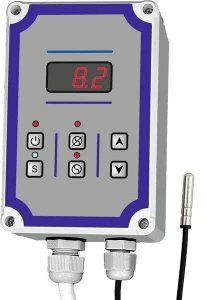 Temperature regulators of SMT-04 type are microprocessor-based, programmable controllers, intended to be used in milk coolers. Regulator is being placed in casing of rail. Due to universality of these regulators there are also other possibilities of their application. Temperature regulators of SMT-05 type are microprocessor-based, programmable controllers, intended to be used in milk coolers. Those regulators are placed in a small hermetic casing panel (IP65) to hang out and equipped in outputs derived through the cables.